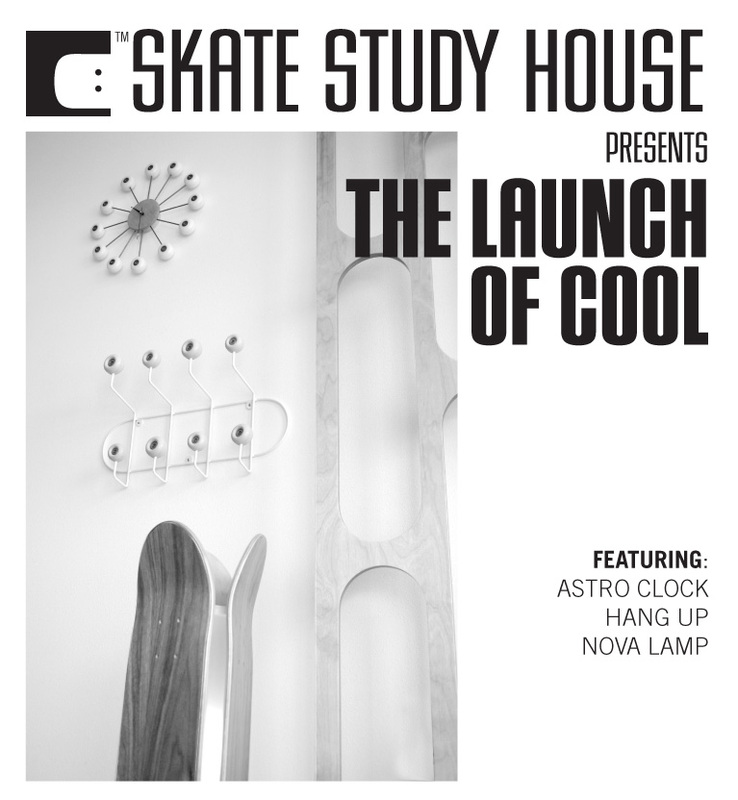 Skate Study House on Trasher!!!! 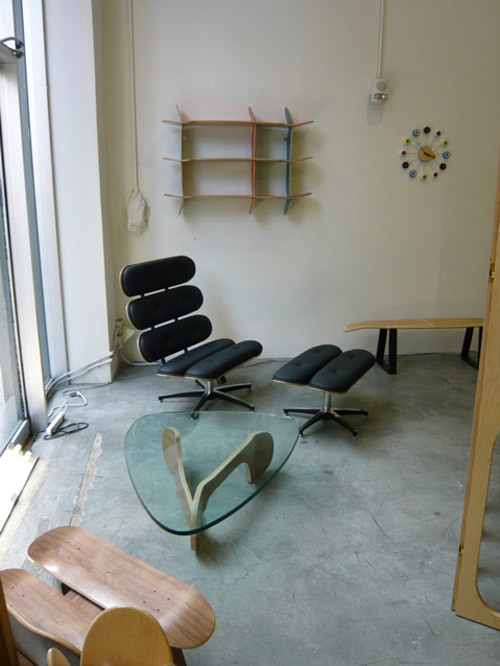 Public Domaine exhibition, Paris, La Gaite, summer 2011. 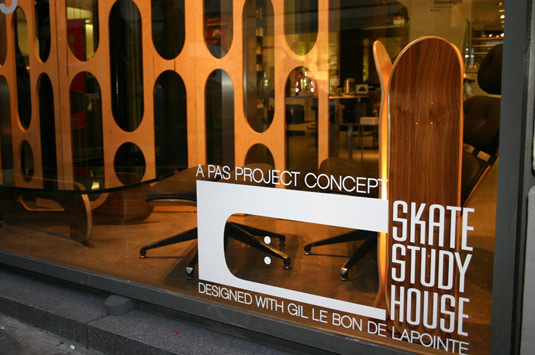 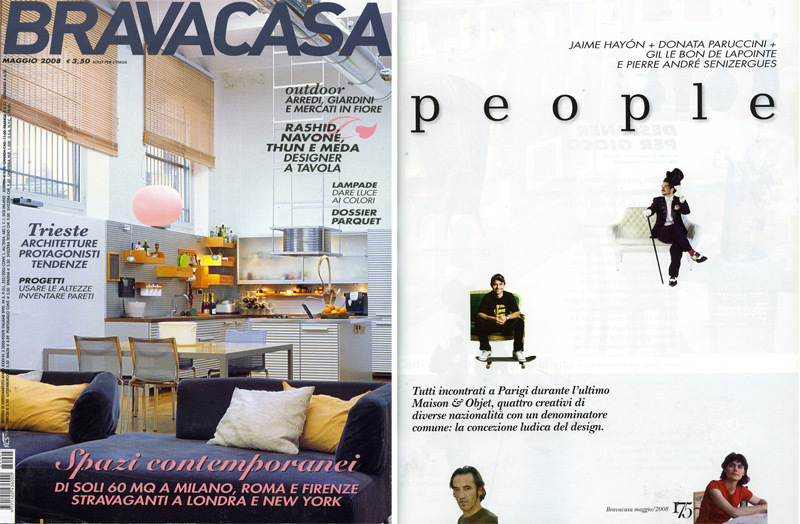 Skate Study House line featured in the "PAS House" at Gaité Lyrique, Paris. 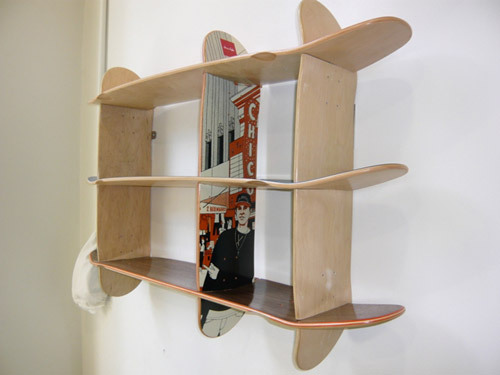 The Waste is The Best gives homage to waste, made 100% of throwaway materials and is constructed from excess skateboard cutouts of laminated wood. 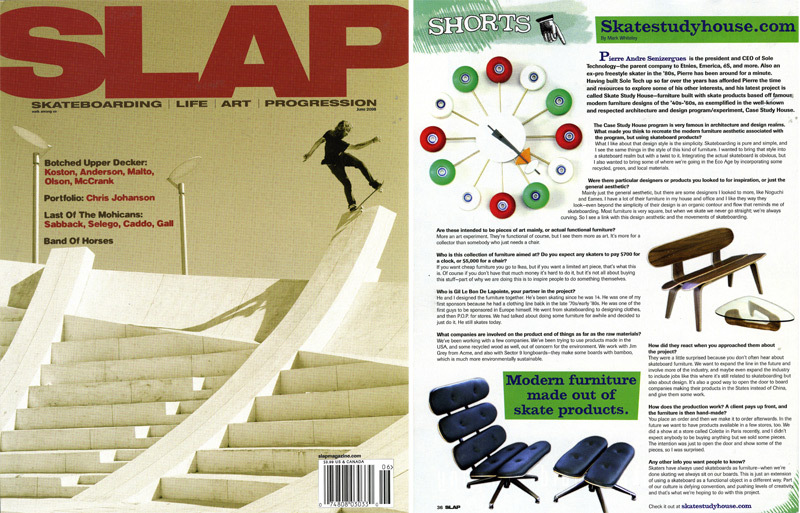 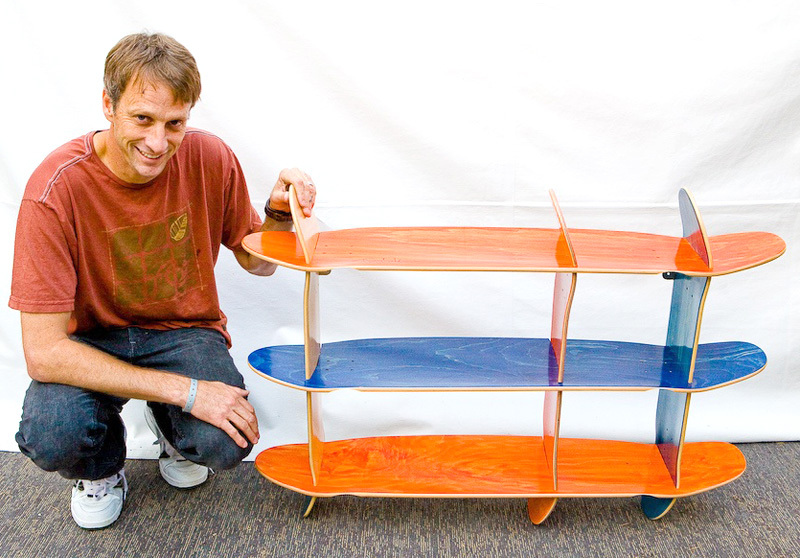 SKATE STUDY HOUSE DONATES SKATE BOOKSHELVES TO THE TONY HAWK FOUNDATION FOR THE AUCTION AT STAND UP FOR SKATEPARKS. 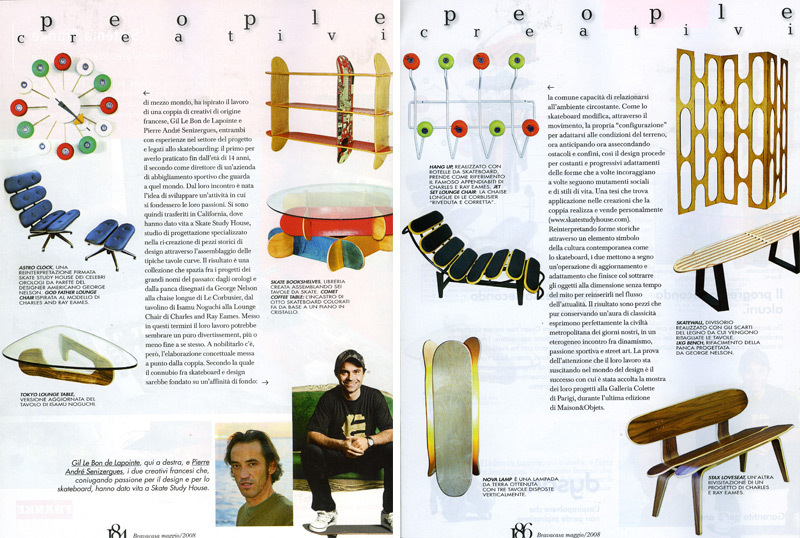 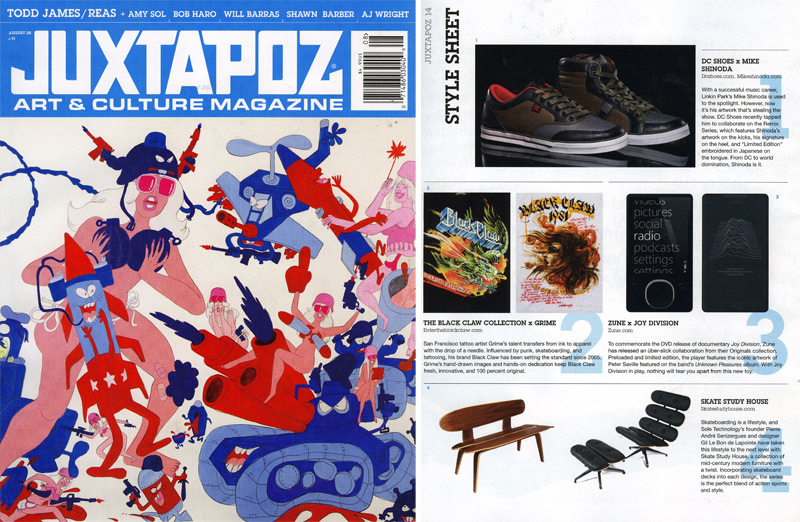 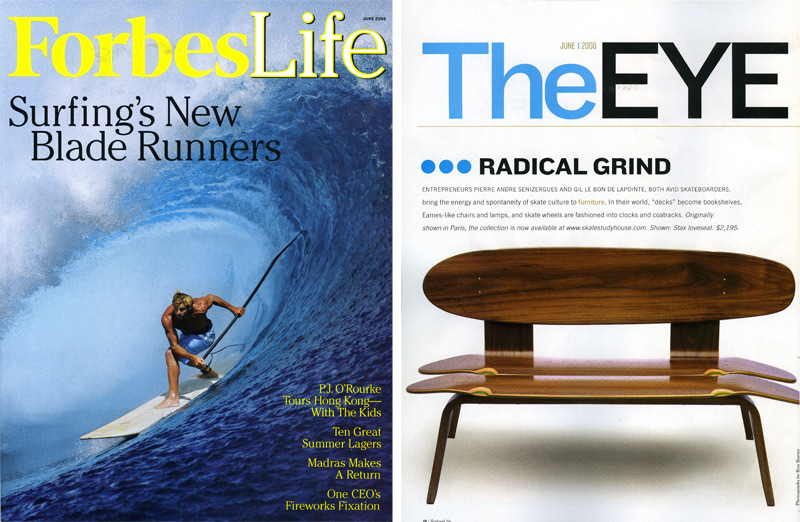 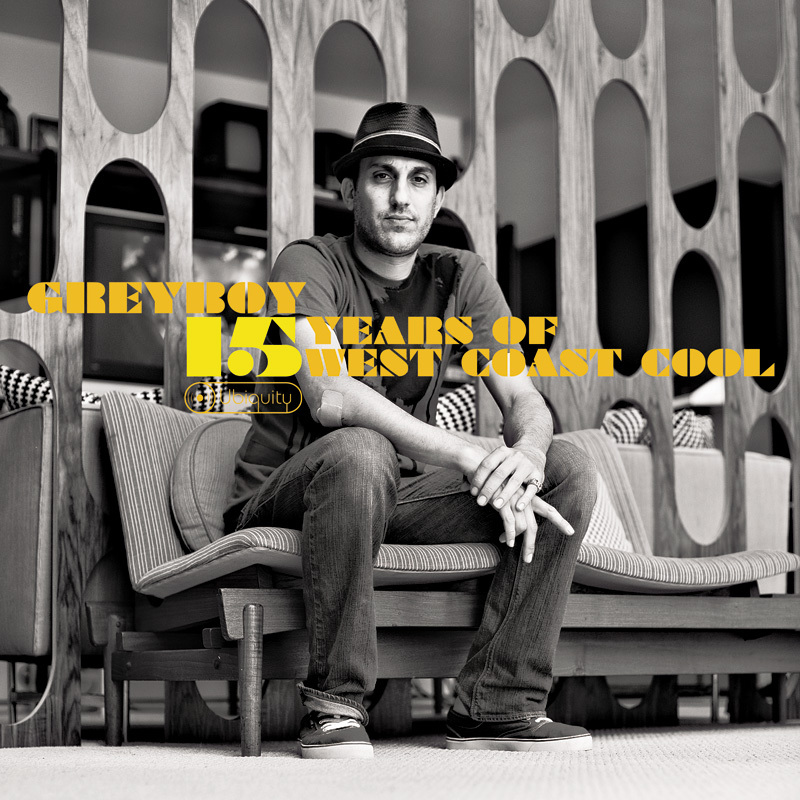 THE AUCTION WAS HELD TO HELP BUILD FREE, PUBLIC SKATEPARKS ACROSS THE U.S.
SKATE STUDY HOUSE "SKATE WALL" FEATURED ON THE COVER OF THE NEW GREYBOY ALBUM "15 YEARS OF WEST COAST COOL" BY UBIQUITY RECORDS. 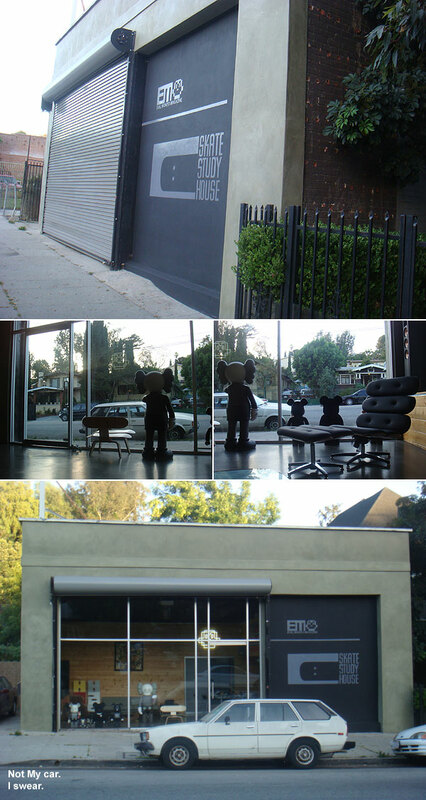 Check out the new Skate Study House sign at the Evil Monito studio, thanks to Mr. Kim and to Mark Anthony Rice for the hand painting. 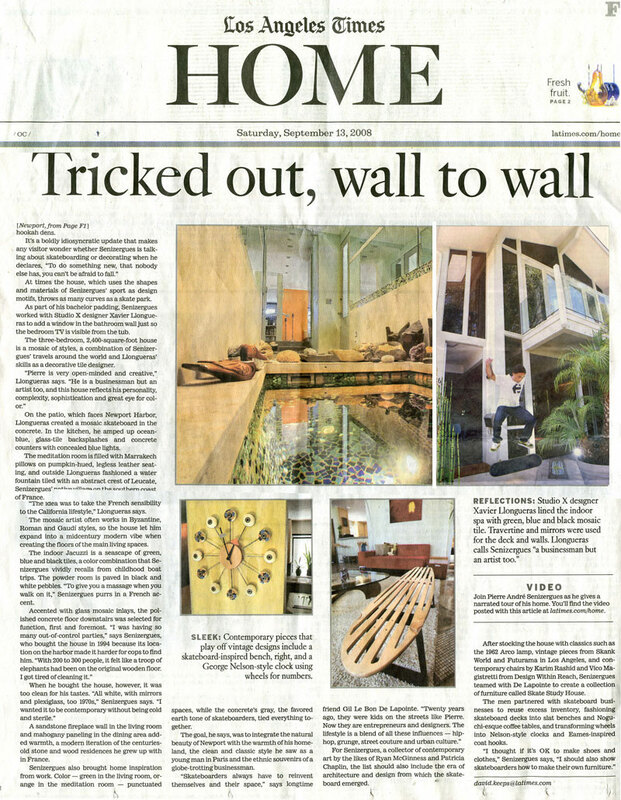 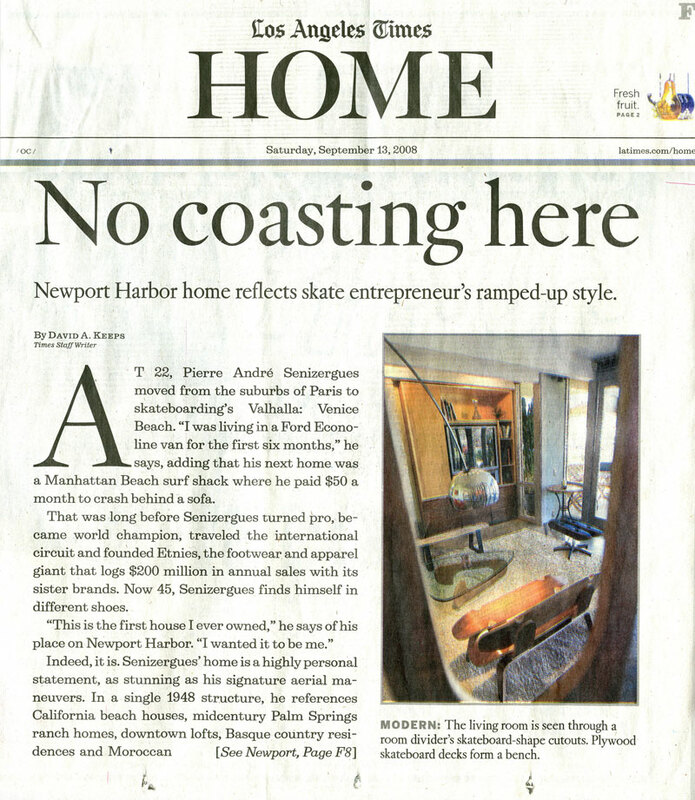 Check out the SSH skate wall in Greyboy's Killingworth home located in Long Beach CA. 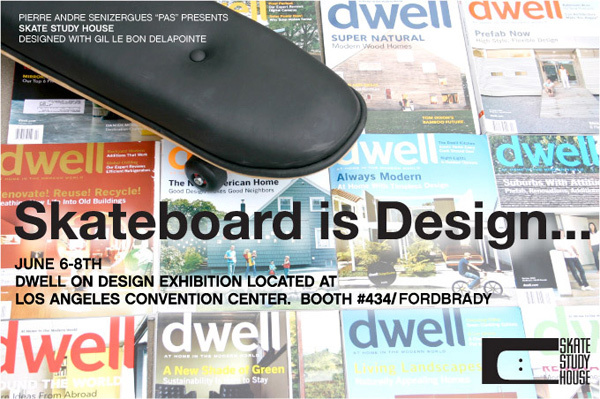 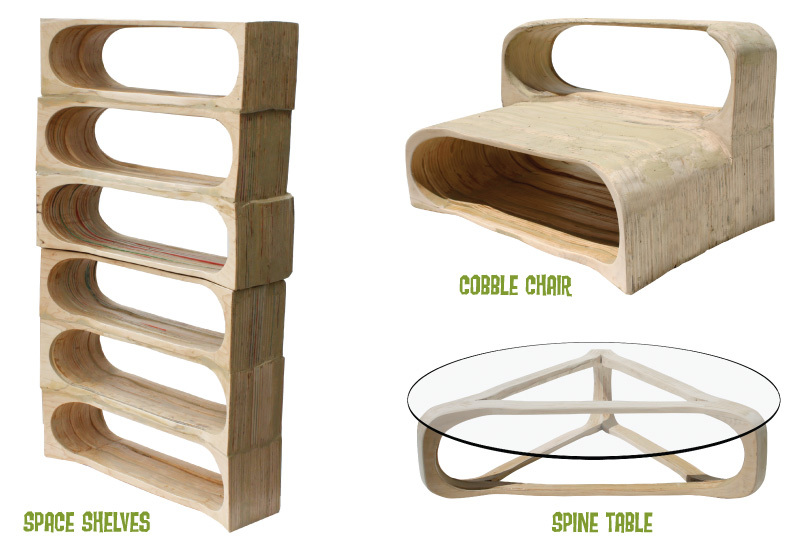 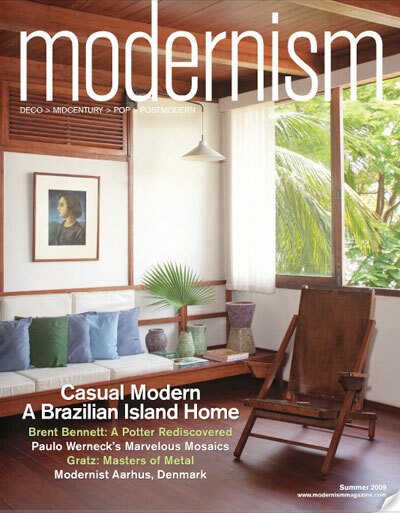 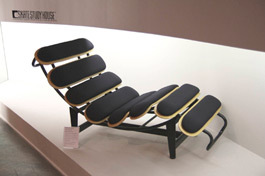 Visit http://www.dwellondesign.com for more information. 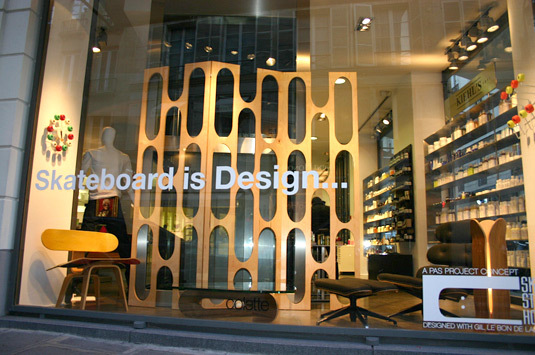 Images and text by Hypebeast. 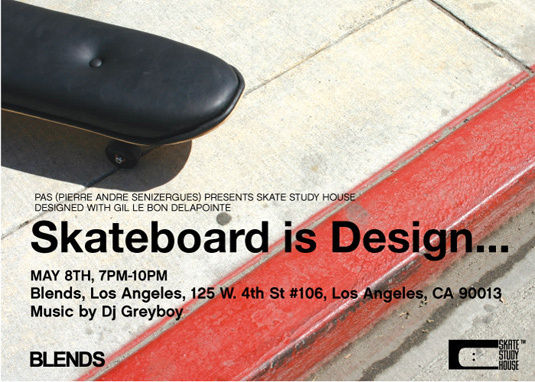 "BLENDS in Downtown Los Angeles played host last night for the opening reception of the Skate Study House. 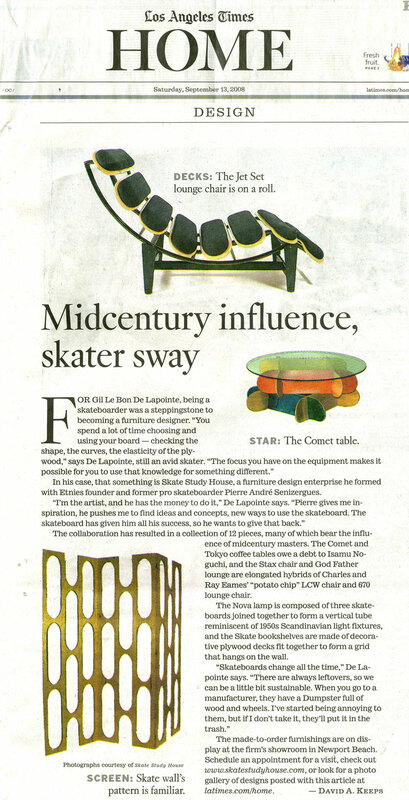 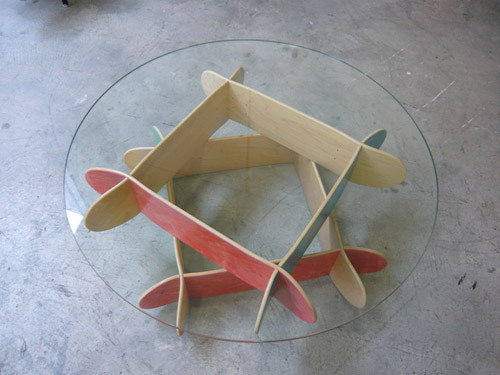 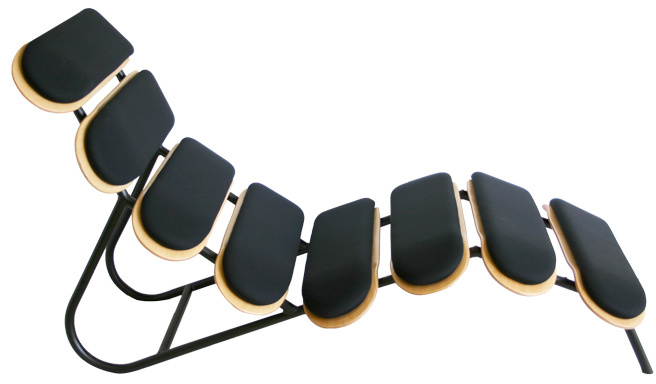 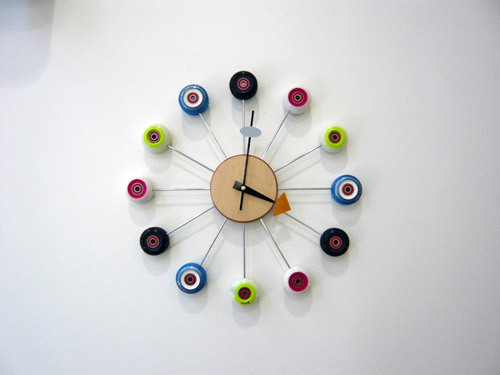 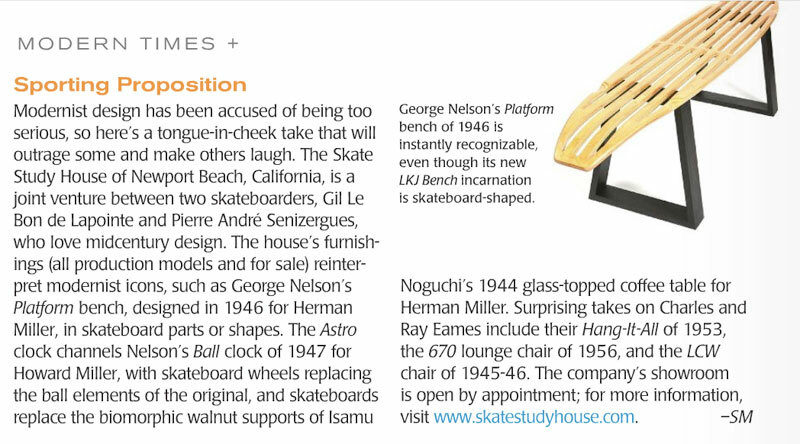 Skate Study House is a project that utilizes skateboard decks, wheels, wheel bearings, and other various materials to recreate iconic and timeless furniture pieces found in Case Study Houses. 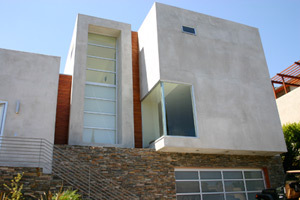 Los Angeles boasts the largest quantity of these influential houses that were built between 1945 and 1966, so it is fitting to see this collection make it to LA. 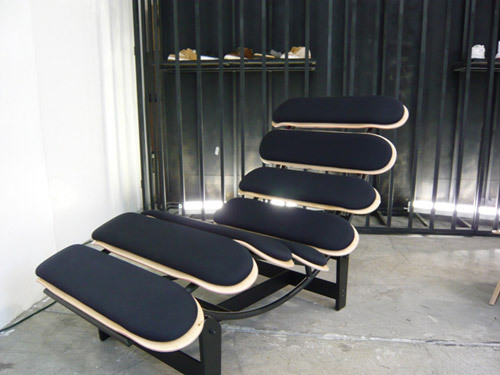 There was a strong turnout for the event hosted by its designer, Gil Le Bon De Lapointe, Sole Technology CEO, Pierre Andre Senizergues, and the crew at BLENDS LA. 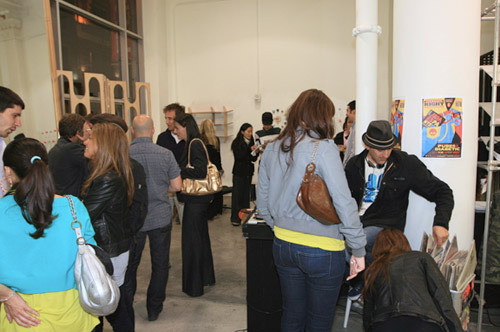 Drinks provided by Smartwater and Vitaminwater were flowing as DJ Greyboy played tunes for the attendees to enjoy throughout the night. 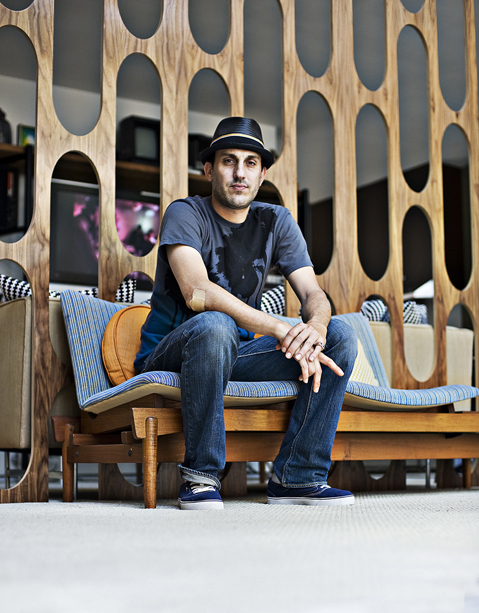 Dance Right at La Cita hosted the after party where the large crowd ultimately relocated until last call commenced prompting the end of the night’s festivities. 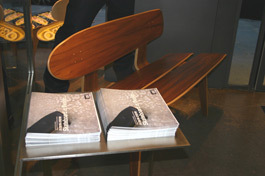 The show will be running for the next week. 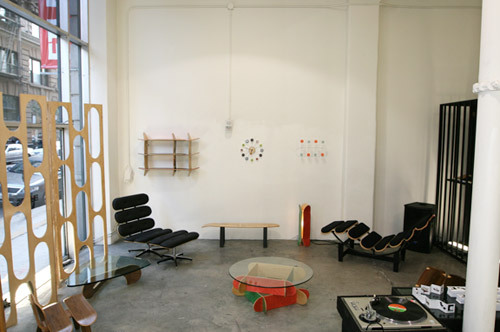 All pieces are fully functional and for sale throughout the duration of the showing at BLENDS". 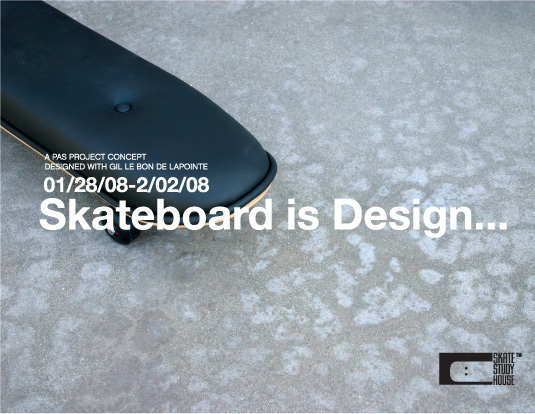 Check out the upcoming "Skateboard is Design" exhibition in Los Angeles. 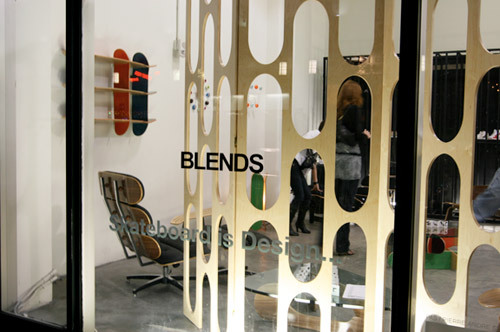 After Colette in Paris, Blends will have the opportunity to exhibit the event on May 8th in a small gathering. 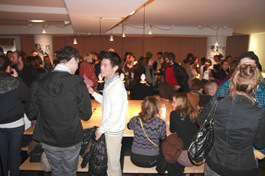 Above is video from the recent exibition / opening at Colette. 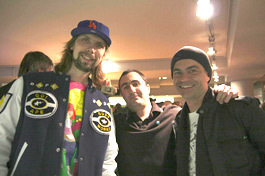 Below are pictures from the recent exibition / opening at Colette.